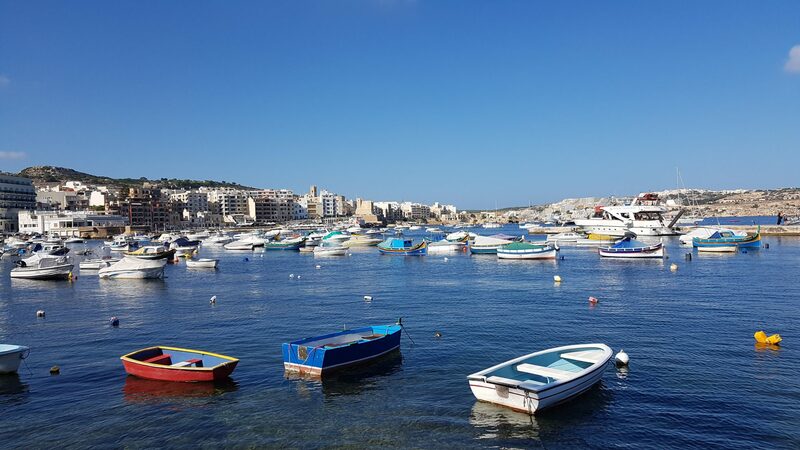 At the end of September we enjoyed a short holiday to the tiny Mediterranean island of Malta! 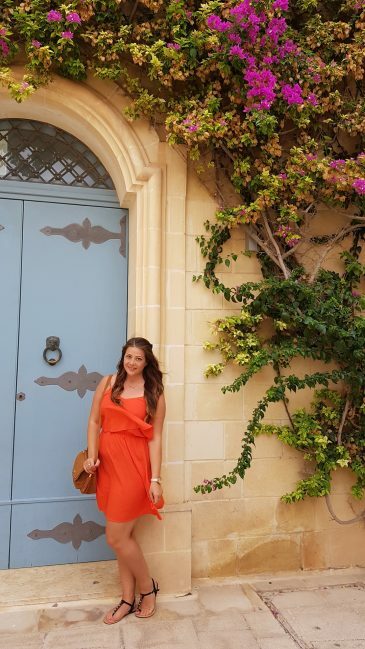 I visited Malta a lot as a child as my Mum is Maltese, so we used to go every couple of years to visit family and soak up a bit of Mums culture. I hadn’t been for almost 10 years so I was very excited to revisit the island again, but independently as an adult this time! As a kid I wasn’t really interested in culture and history, all I wanted to do was swim in the pool. So this time I wanted to full on explore everything there is to see and discover as much as I could on the beautiful island! 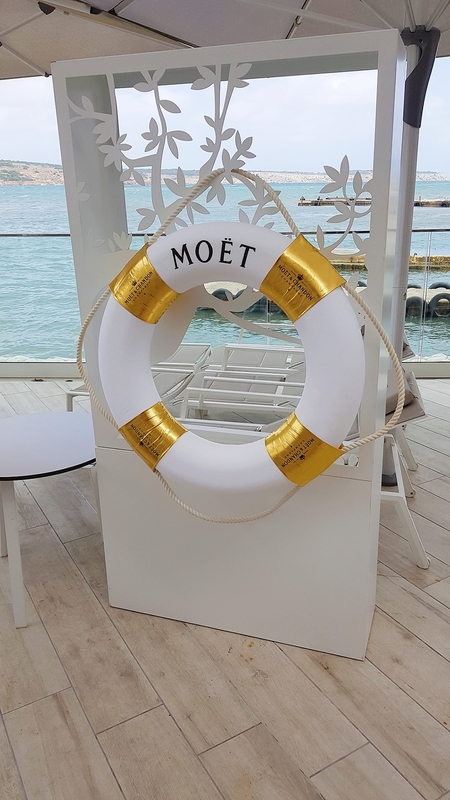 Schofields Insurance recently ran a survey which has shown that for 40% of millennials, how pretty a destination will look on Instagram is a major deciding factor in where they go. Admittedly, I was excited to visit The Blue Lagoon mainly because I wanted to get some good snaps for Instagram! And I also spent a bit of time ‘researching’ places to go via Instagram, checking out relevant hashtags and location tags. Malta is very Instagram-able though so I had no problem with finding pretty places to visit and take photos. I’ve only included a very small selection of photos within this blog post but I took loads! We booked the trip quite last minute – about a month before we were due to fly. I found some cheap flights with Easyjet from Luton and a decent room-only hotel in Bugibba, a popular tourist resort on the north coat. We booked the flights, 5 nights in a hotel, and airport transfers for around £250 each, so we managed to get a good deal by booking things separately. 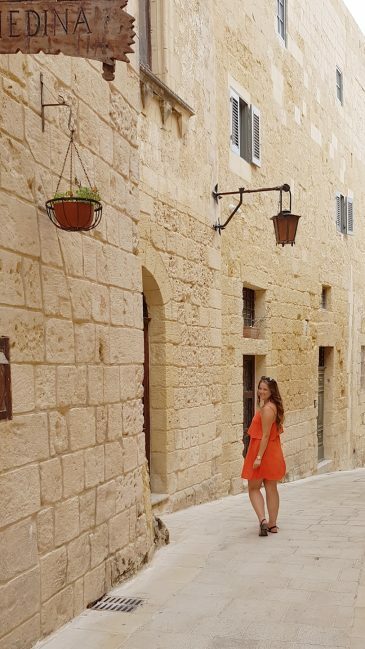 Malta is not an expensive place when you’re there either, so we didn’t need to save up for lots of spending money. Prices out there for food, transport and attractions are very reasonable. 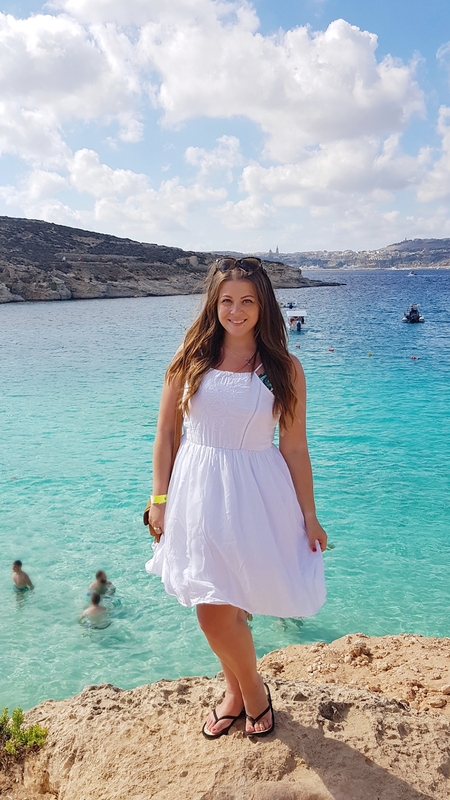 One thing to note if you’re a beach bum is that the beaches in Malta aren’t sandy everywhere, but there are a few gorgeous beaches on the island and nothing is too far away in Malta. The island really is tiny.. it’s only 17 miles long and 9 miles wide (about the same size as the Isle of Wight)! 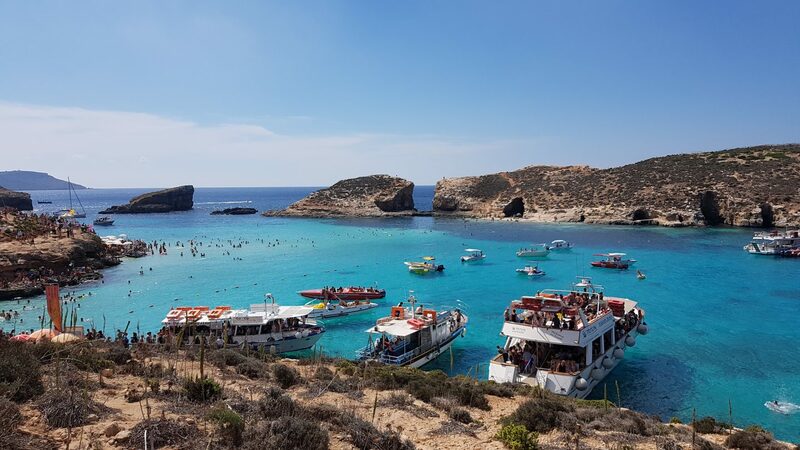 So you can always get a bus to a sandy beach or even visit the gorgeous Blue Lagoon on the nearby island of Comino. Read on to find out more! 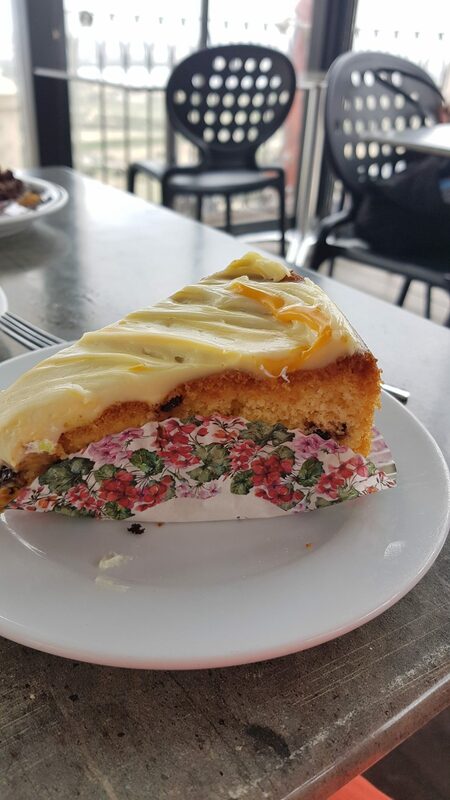 We stayed at the Topaz Hotel which is located in the tourist hotspot of Bugibba, and the hotel is about a 10 minute walk away from the lively Bugibba Square and the sea. The hotel was so cheap so we weren’t expecting too much, but I’m pleased to say that we were actually very impressed! The hotel is well maintained, everywhere is clean and tidy, and the staff were always very polite. 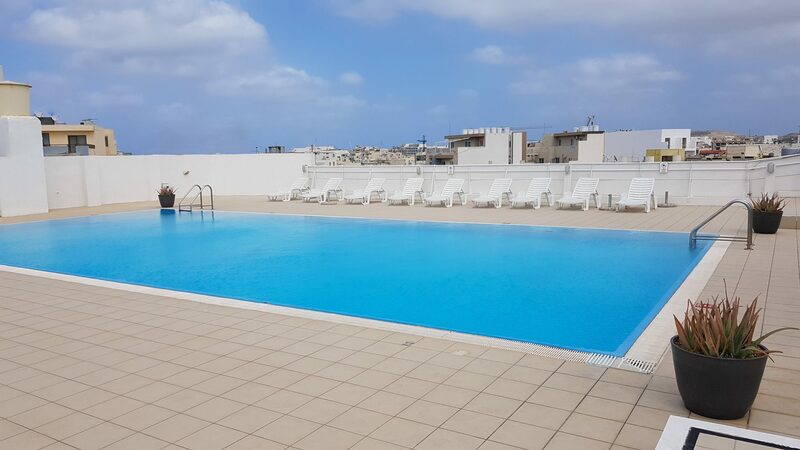 We had booked a one bedroom room but we were allocated a big two bedroom apartment with a lovely view overlooking the pool. The rooms aren’t very modern but they’re not run down either; they’re just your standard European holiday apartment. It had everything we needed including free wi-fi, a fridge, a kettle, and a flat-screen TV. We booked room-only so no food was included, but they do have a restaurant and offer full board if you don’t fancy eating out. 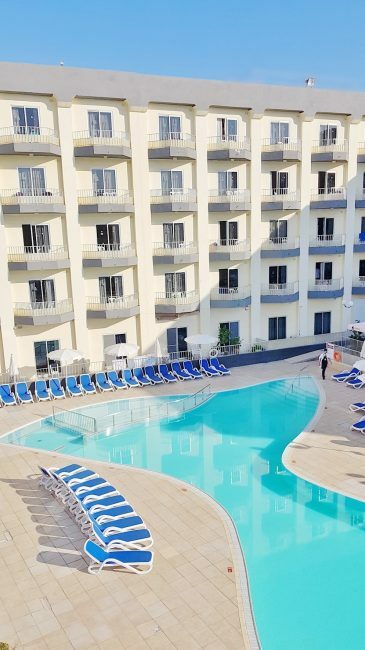 We used the pool on our first day and they have plenty of sun beds available and a nice spacious pool area. We also found the secret rooftop pool located on the roof of the adjoining sister hotel which was totally empty! Our hotel was located in Bugibba, a ‘village’ along the coast which is part of a cluster of villages together with Qawra and St. Paul’s Bay. 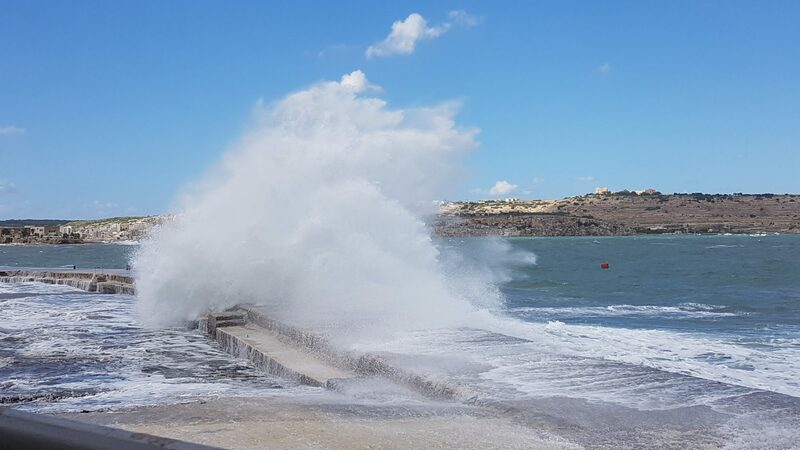 The three villages share a seaside promenade which stretches for 3.5 kilometres from Qawra, through Buġibba Square and onto St Pauls Bay. 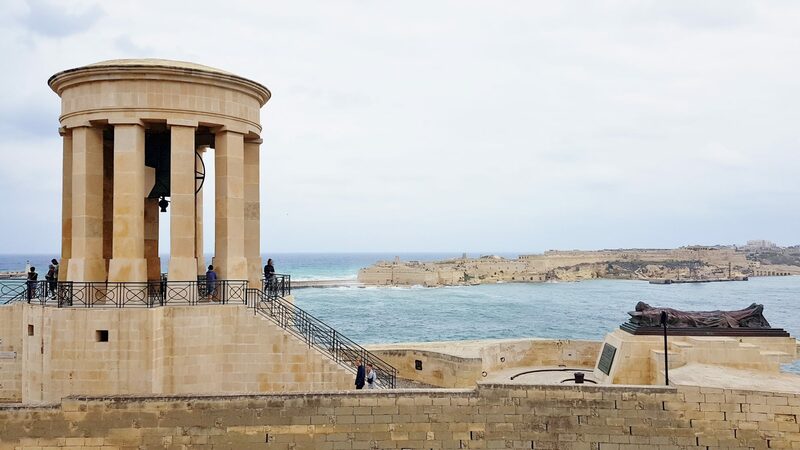 It’s one of the most popular tourist destinations in Malta, although it isn’t a typical Maltese village as it has little in the way of history, culture or attractions. It’s basically a small holiday resort full of hotels, bars and restaurants. Although there’s not a huge amount to see, we did visit the Malta National Aquarium, which was quite small but enjoyable enough and entry was only around 10 euros each. On the same complex is also the famous Café Del Mar beach club which has a stunning infinity pool overlooking the sea, but entry costs are pretty high. 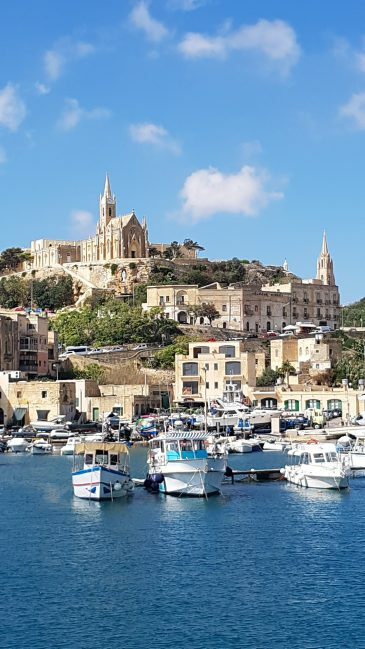 You can also get boat trips from the small harbour of St. Paul’s Bay, which is where we caught the boat to Comino, but there are also trips to Gozo. 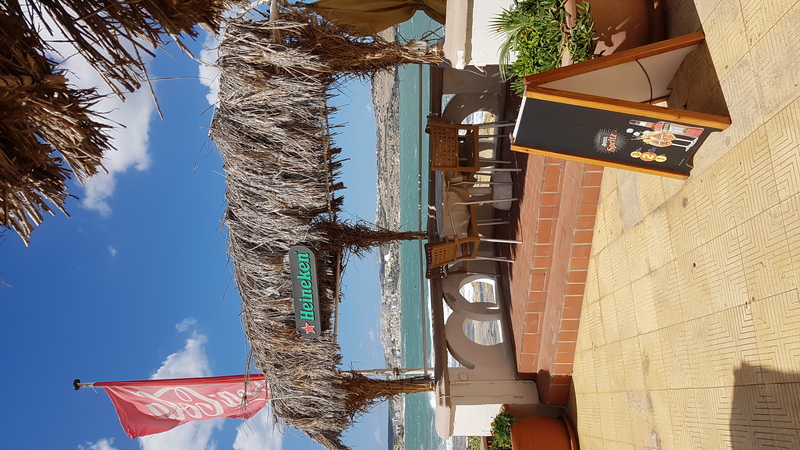 There’s plenty of places to eat in Bugibba and we found a few nice restaurants and bars along the seafront and at Bugibba Square. There’s even a Pizza Hut and McDonalds! 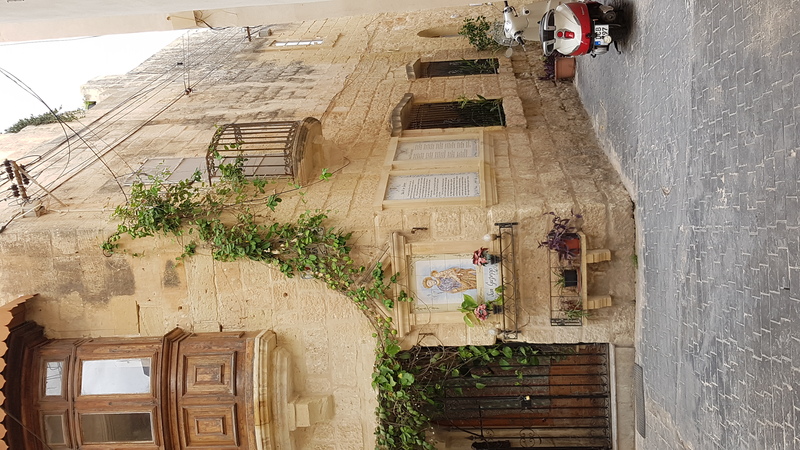 Bugibba does make a great base for exploring the rest of Malta. 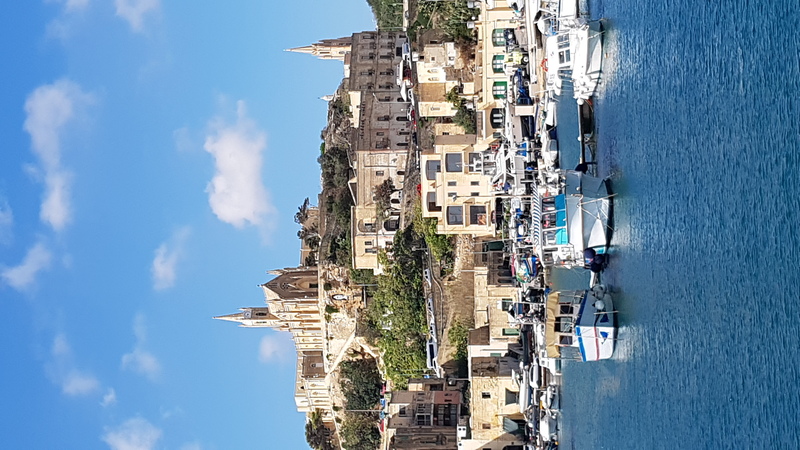 It’s very well connected and the bus routes go all over the island and the buses are extremely easy to use and very reasonably priced too. We found the buses to be regular and convenient, however at sometimes of day they were very busy and were too full to pick up any passengers, so you’d have to wait for the next one. We used the buses to get everywhere we needed and the majority of the routes to popular destinations were direct, so there was no need to faff about changing. 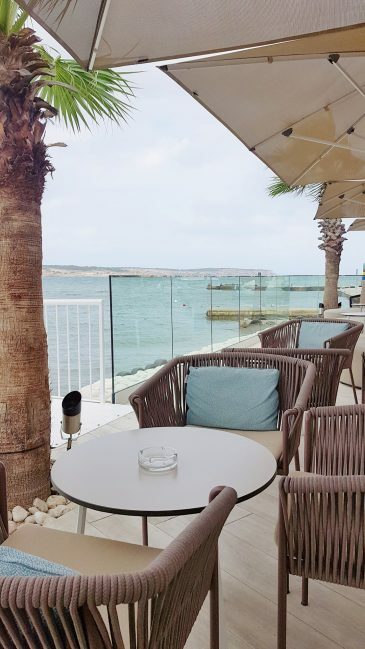 St Julians is the trendy town in Malta with its waterside restaurants and bars, plus Malta’s biggest nightlife spot in Paceville. 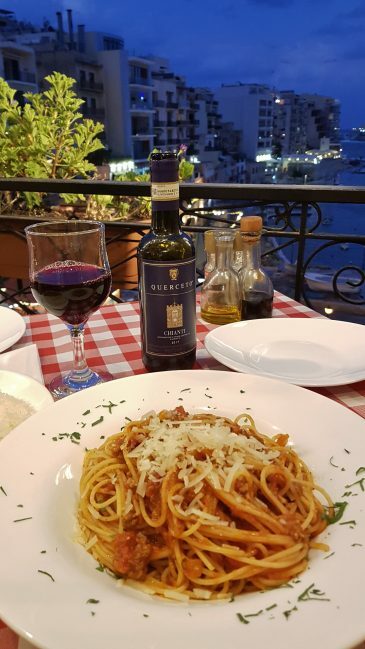 We enjoyed spending a couple of evenings in St Julians; eating dinner in a little Italian restaurant overlooking Spinola Bay and walking around the brand new luxurious Portomaso Marina. The marina is full of high end al fresco restaurants, expensive yachts, a casino and penthouse apartments. 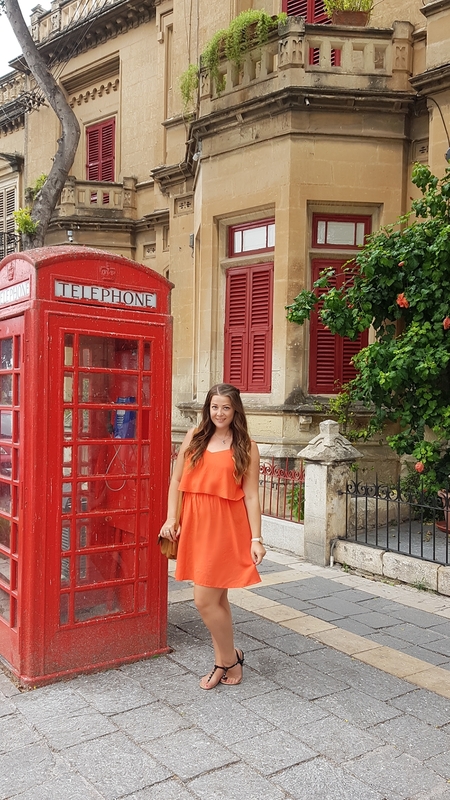 It’s a nice place just to have a walk around and see how the other half live in Malta! 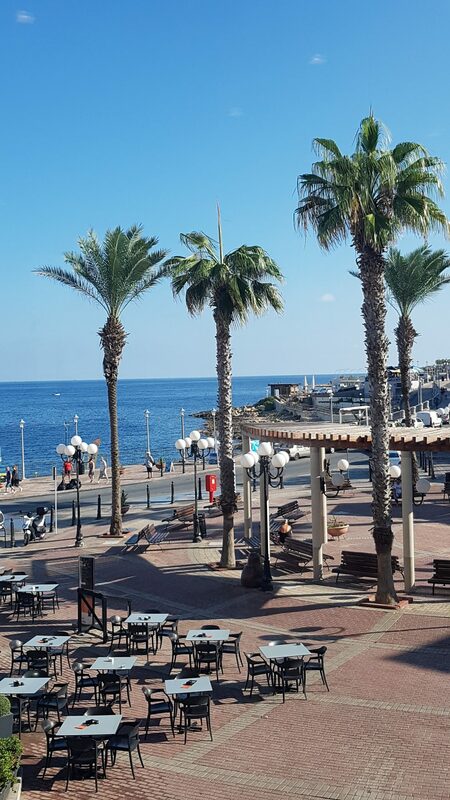 Sliema is right next door to St Julians and is a commercial and social hub full of stylish shops and restaurants. 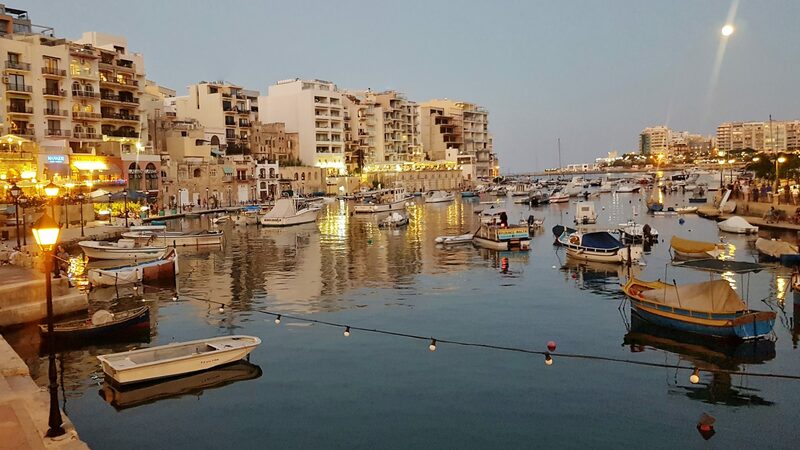 St Julians and Sliema both lie along the coastline and you can also get the ferry from Sliema over to capital city Valletta. 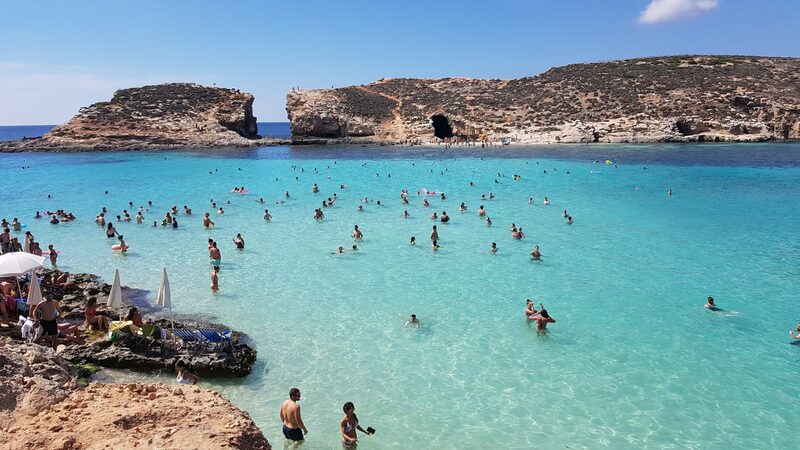 The Blue Lagoon, located at the small neighbouring island of Comino, is one of the most beautiful places to see if you visit Malta. 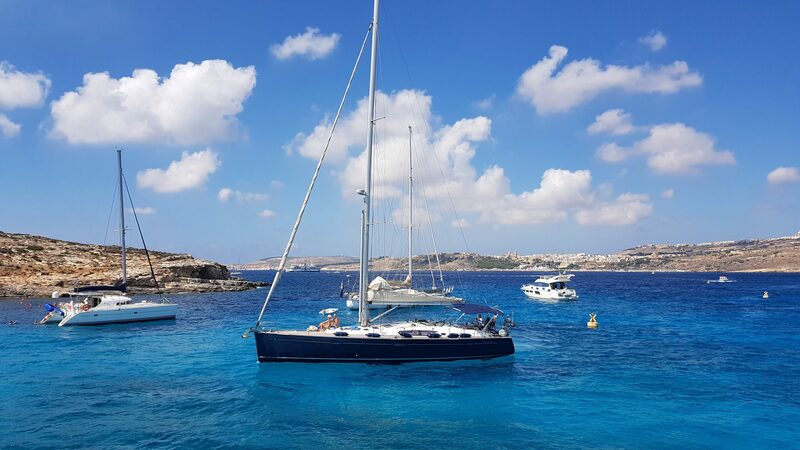 Comino is a tiny practically uninhabited island with clear turquoise shallow waters and dramatic coastline and is without a doubt one of the most popular spots to visit in Malta. It’s so busy in fact that the place is usually packed with tourists and it can be a struggle to find somewhere to sit if you want to go down to the ‘beach’. 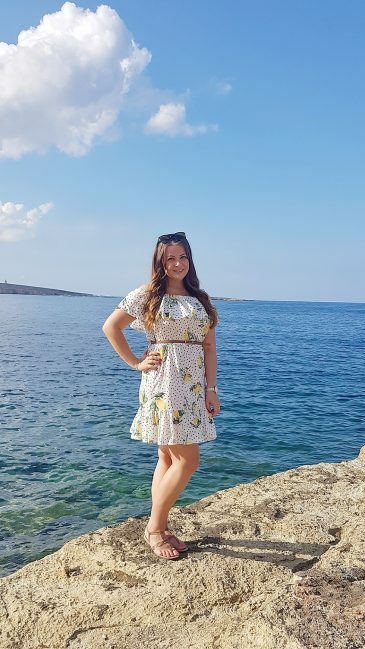 The sea here is so beautiful and is a dream if you love swimming, but if you just want to lay on a sandy beach then this probably isn’t the place for you. 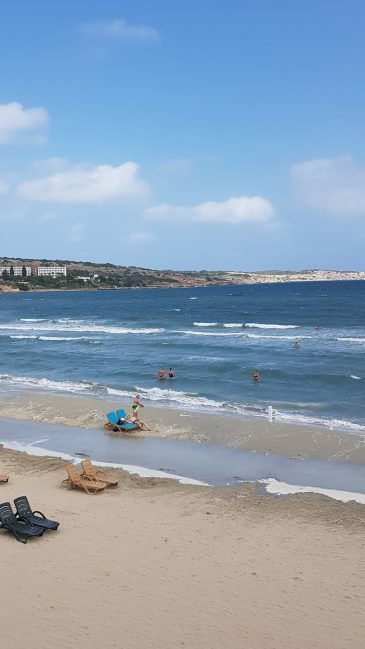 As I mentioned earlier, sandy beaches are rare in Malta and there is no sand at The Blue Lagoon. You can either hire a cramped deck chair for 10 euros per person or lay on the rocks, which can be uncomfortable but it’s free! There’s also only one entrance and exit to get into the water so it does get very overcrowded at times and I can only imagine how busy it must get in the summer holidays! It’s probably not the safest place to come if you have young children or mobility issues. If you don’t like crowds I probably wouldn’t recommend The Blue Lagoon, as once you’re there you’re not leaving the island for a good few hours until your boat returns to take you back. Although there are some other things to do on the island of Comino such as hiking where you can get amazing views of the Blue Lagoon and enjoy some peace and quiet, as all the tourists will be down by the water. We booked our boat trip to The Blue Lagoon through the little ticket office located on the corner at St Pauls Bay by the boats. It was booked via Extreme Cruises and was only 17.50 euros each for a return boat trip, free bar and lunch which we thought was very reasonably priced. The boat first took us to Gozo to drop off some passengers which allowed us to get a good view of the island, as we hadn’t planned to visit Gozo. 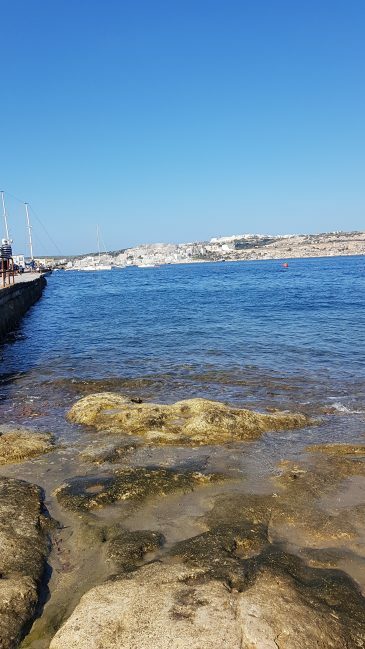 We then set off to Comino and lunch was served as soon as we docked, but as there was such a long queue for food we decided to skip lunch and get straight down to the sea. We found a space on the rocks to lay our towels and then I went in the sea a few times which was so lovely. The water was so amazingly clear and warm! Gavin doesn’t like sea swimming and didn’t enjoy sitting perched on a rock either, so I don’t think he had the best time! But I enjoyed it and it really is a stunning place to see. Visiting Mdina is a must-do if you’re in Malta, and the nearby town Rabat is within walking distance and is also well worth a look around. 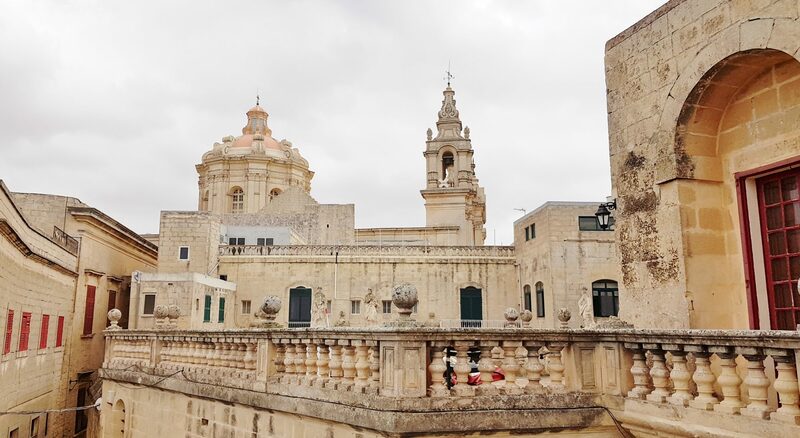 Mdina is referred to as “the silent city” (no cars are allowed within the city walls) and is one of Europe’s finest examples of an ancient walled city. It has plenty of culture, heritage and history as well as an extraordinary mix of medieval and baroque architecture. 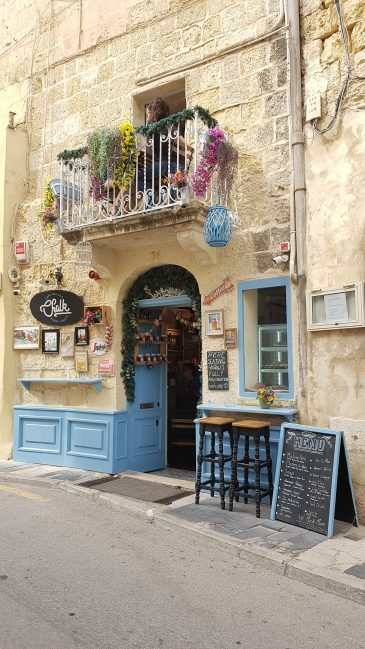 There’s plenty to see within Mdina such as St Paul’s Cathedral, the Natural History Musuem, and the Instagram famous ‘Blue Door’ surrounded by pretty purple flowers. My favourite thing to do in Mdina is to simply wander the streets and explore the little alleyways between the tall buildings. 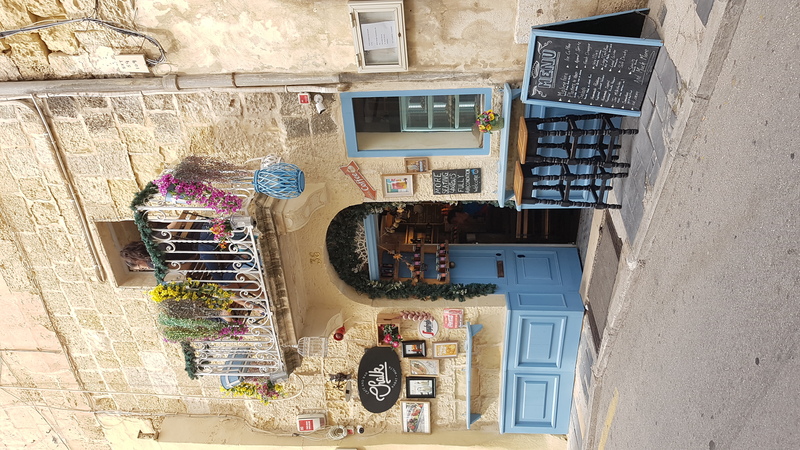 I can also highly recommend visiting Fontanella Tea Garden which is an adorable little tearoom perched on the Mdina walls overlooking Malta. 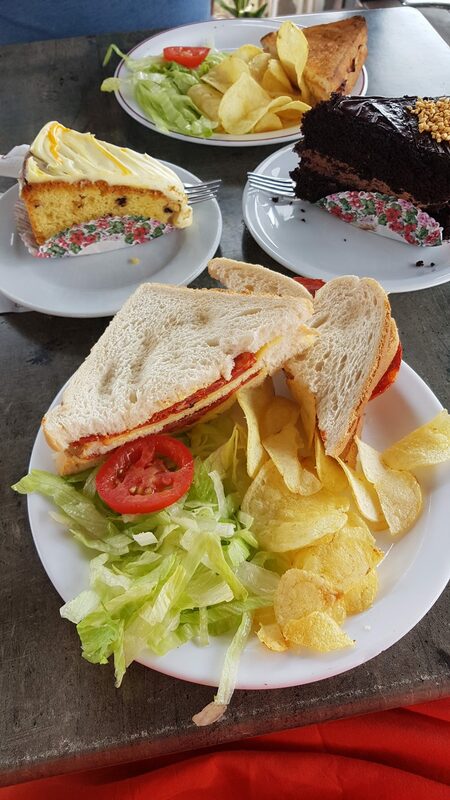 They serve yummy homemade cakes, pizza, sandwiches, snacks and is very reasonably priced. We each had a sandwich and a slice of cake whilst taking in the breathtaking views. 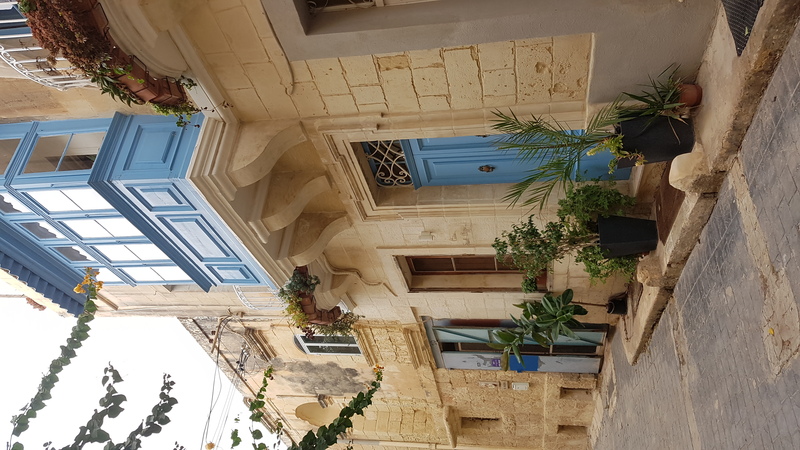 Rabat is located just outside of Mdina and you can walk between the two towns, so if you’re visiting Mdina it’s worth taking a stroll down to Rabat too. 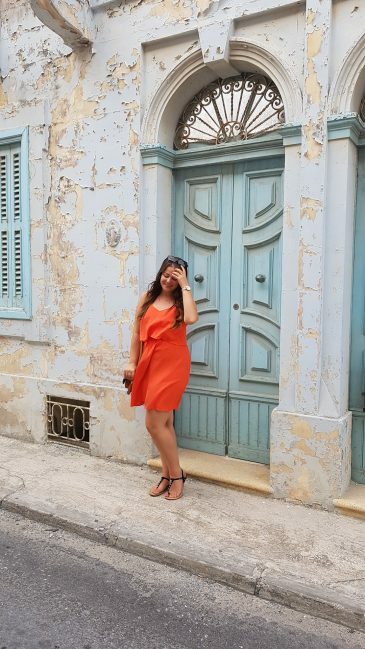 Rabat has narrow streets, busy with locals and plenty of quaint buildings and pretty houses with overhanging wooden balconies. 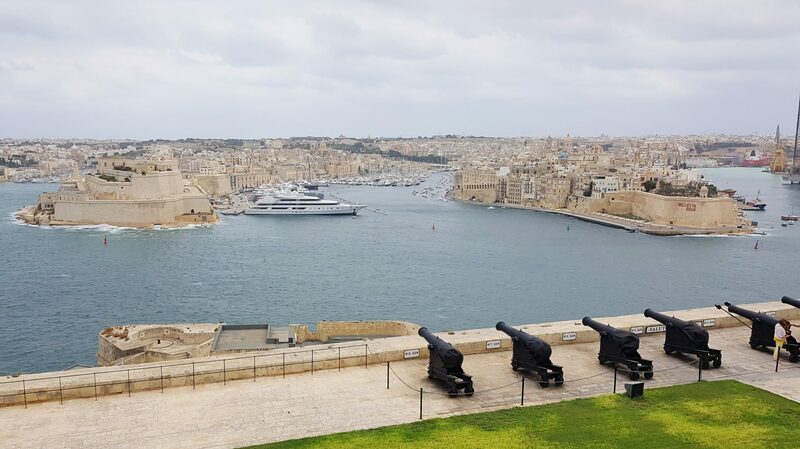 If you’re into your history and culture, you can also visit The Catacombs of St. Paul and St. Agatha, St Pauls Church, WWII bomb shelters and a few museums. 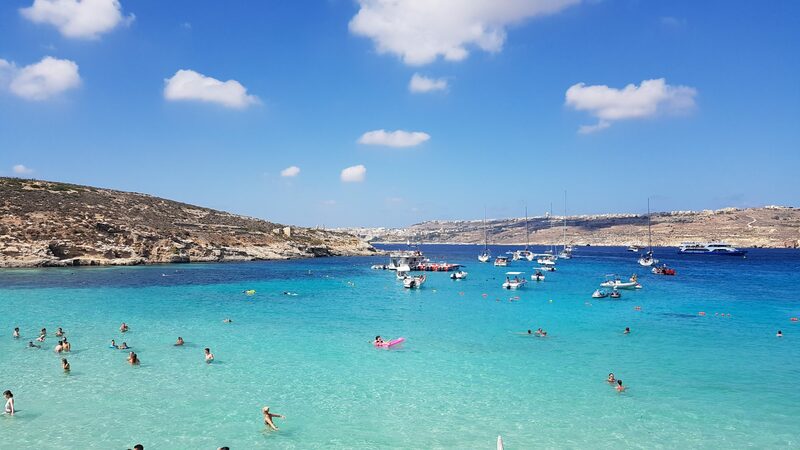 Malta’s largest sandy beach is called Mellieha Bay and is less than a 20 minute bus ride from Bugibba. 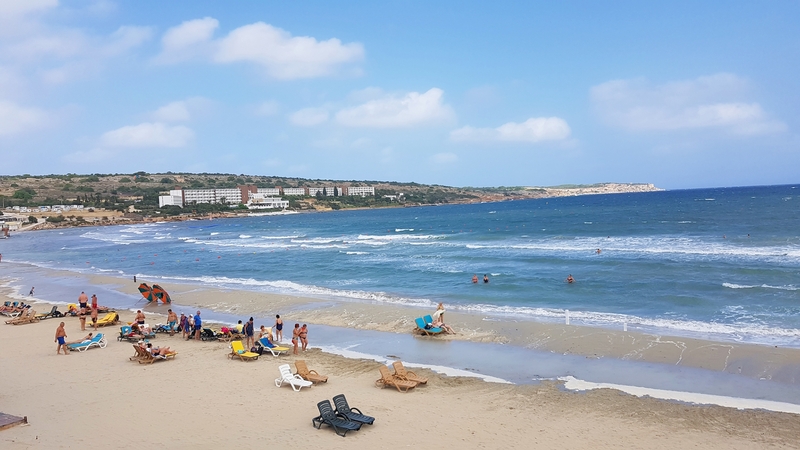 The beach is one of Malta’s most popular as it has a large sandy area and crystal clear blue waters. It’s perfect for children and for swimming as there’s no undercurrents, and although we went on a very windy day, you could still enjoy a dip in the blue sea. If you want to unwind on a nice sandy beach then this is the place to come! 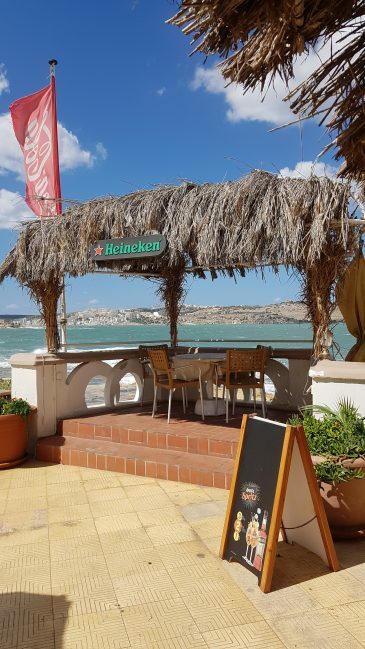 It’s in a quiet and relaxing location and there isn’t much around, but there is a bar where you can go for a drink and a snack hut on the beach if you’re feeling peckish. 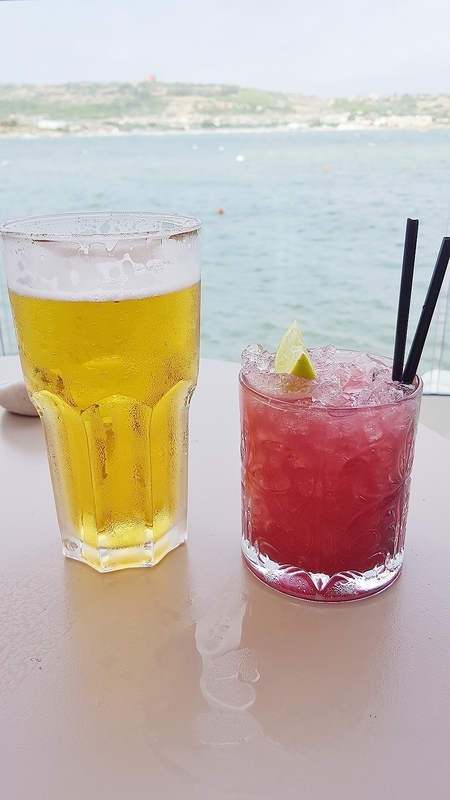 We went to the Blu Beach Blub for a drink and I can highly recommend it. It’s a very stylish and chic bar overlooking the beach with a fantastic cocktail menu and very attentive staff. 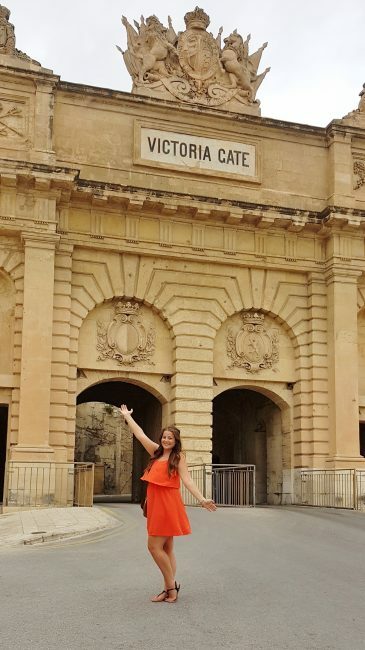 And last but not least, Valletta; the capital city of Malta – known for its numerous museums, churches and Baroque architecture. It’s a UNESCO world heritage site and is the European Capital of Culture 2018, and I promise you that it’s worth a visit! 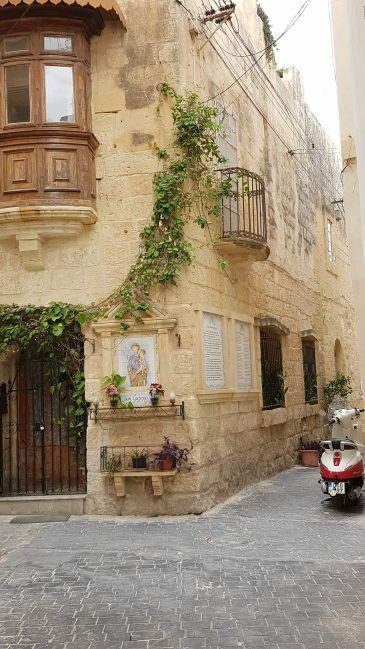 Malta has the highest density of historic sights of any country and you can see many of these in Valletta. When you arrive by bus you are dropped off at the City Gate bus station and you walk straight onto Republic Street which is the main high street and is bustling with people, shops, cafes and numerous side streets. 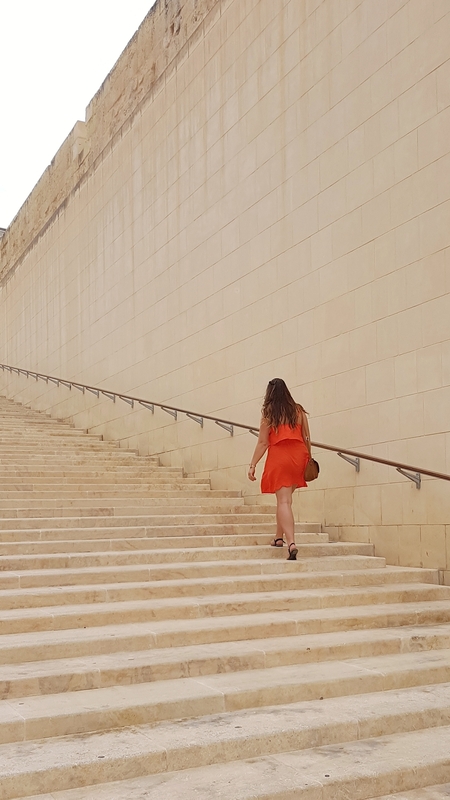 We walked all the way down to the bottom of Republic Street and found Fort St. Elmo, The Upper and Lower Barakka Gardens and the amazing views over the Marsamxett and Grand Harbours. You can walk around Valletta for hours and not get bored; there’s so much to see! We walked across pretty much the entire city and took in all of the amazing sights and views. 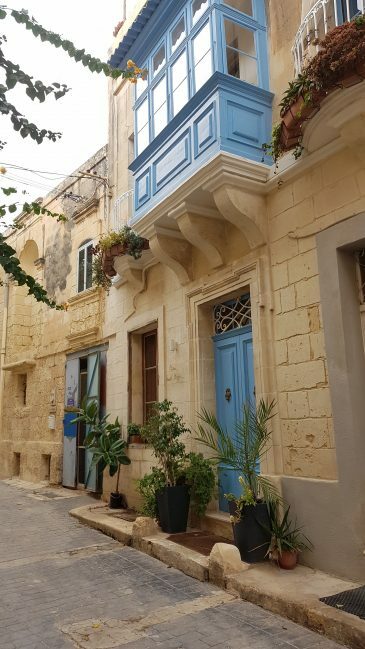 Even the residential streets are pretty, and there’s lots of narrow staircases to explore which lead out to other little streets. 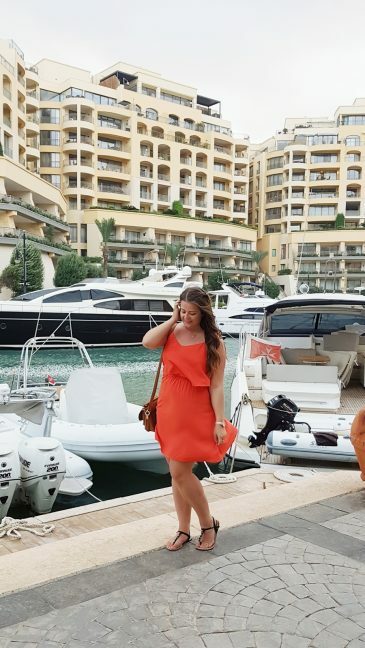 You can also get the ferry to/from Sliema which will take you across the beautiful Marsamxett harbour and past Manoel Island. There’s not much nightlife going on in Valletta, but there are plenty of wine bars, restaurants and places to eat, ranging from McDonalds to fine dining eateries. 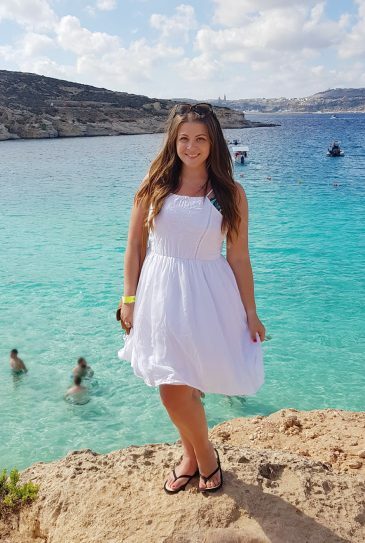 If you’re looking for somewhere different to holiday next summer, then I would definitely recommend Malta. It has the perfect mix of nightlife, beaches, culture and history. 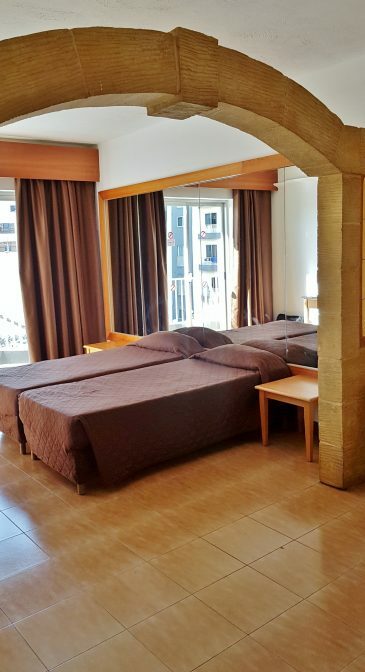 It’s also perfect for those on a budget as it’s not extortionately priced in comparison to some Mediterranean resorts. Plus it’s only a 3 hour flight from London, so it’s not as far as you might think! Have you ever visited Malta?